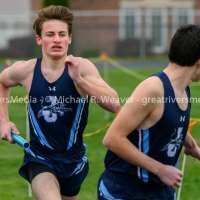 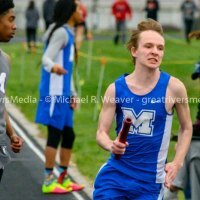 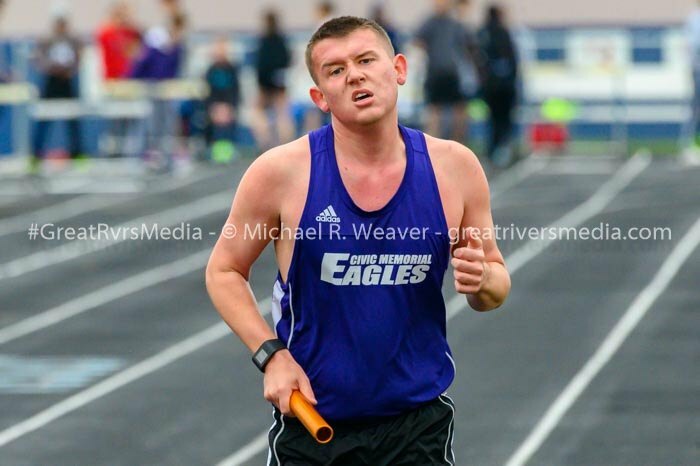 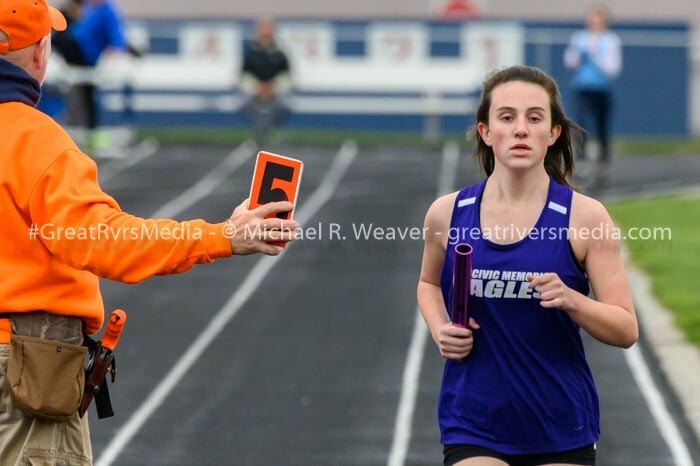 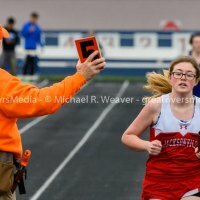 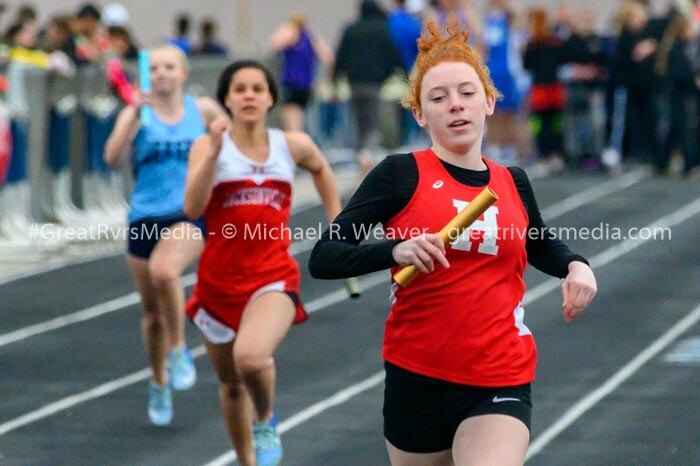 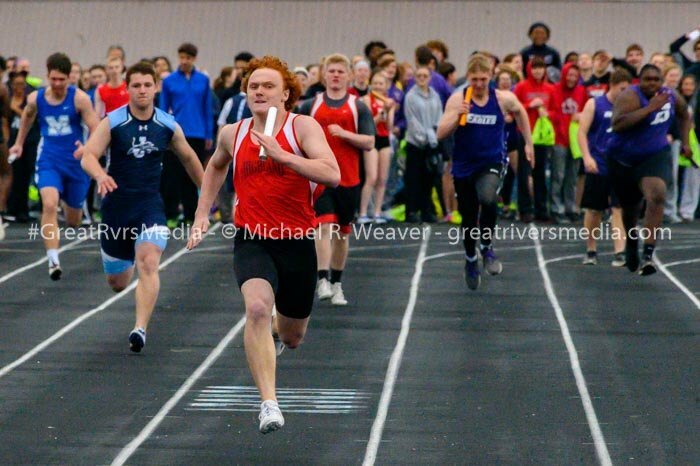 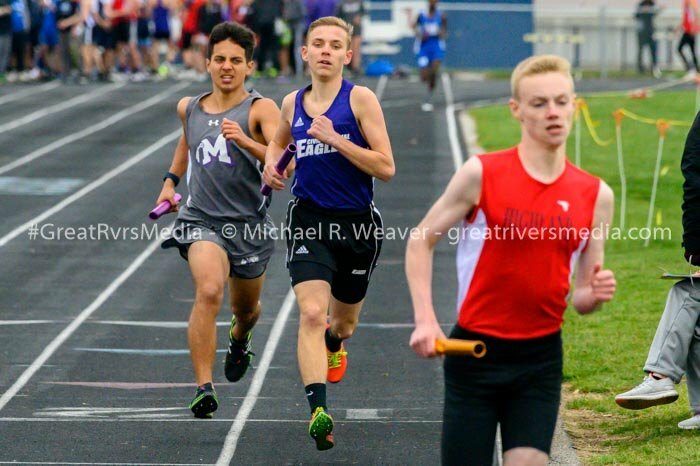 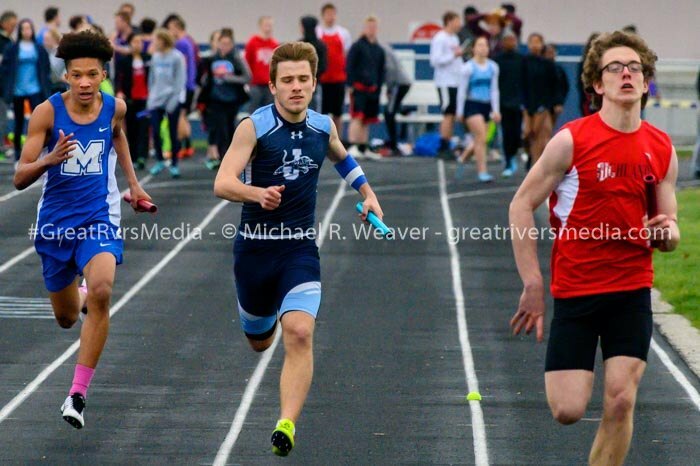 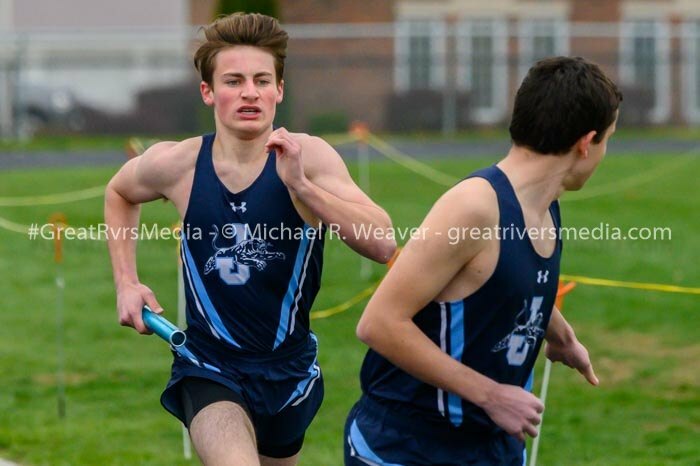 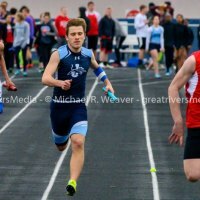 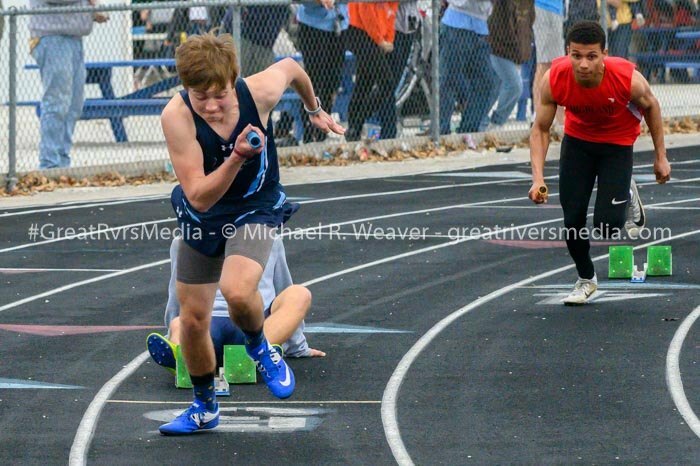 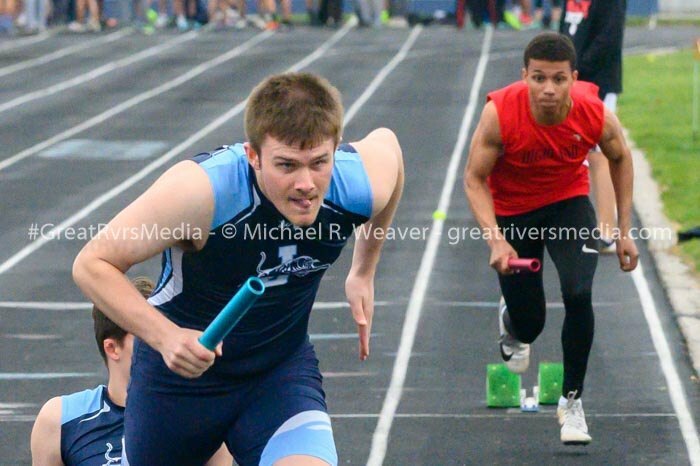 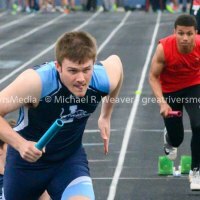 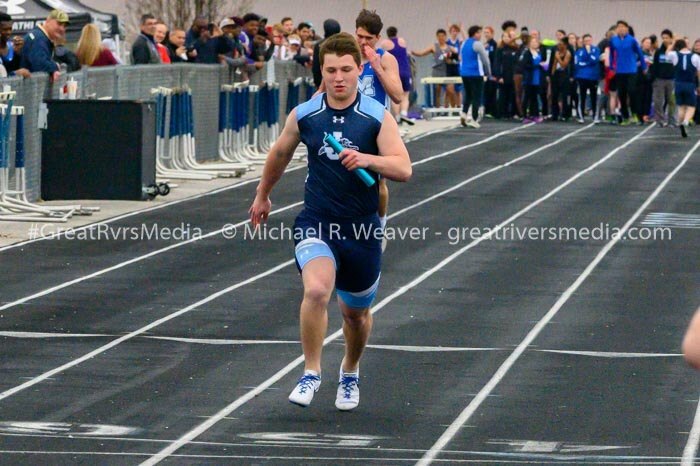 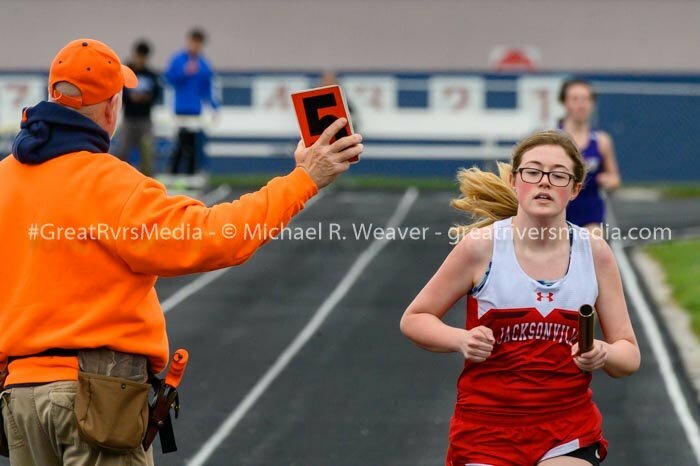 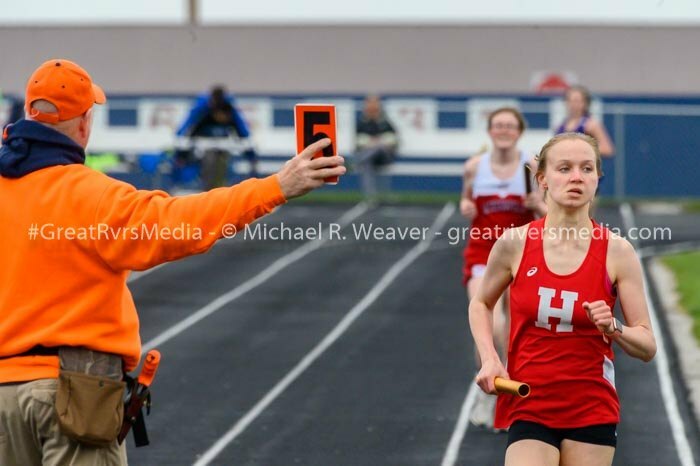 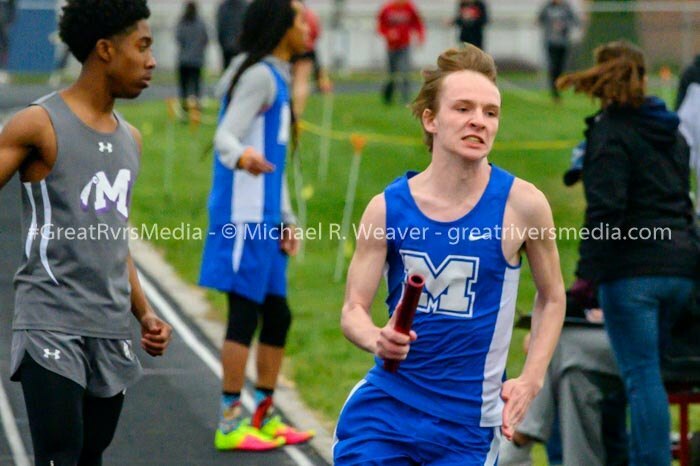 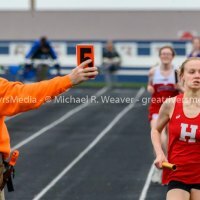 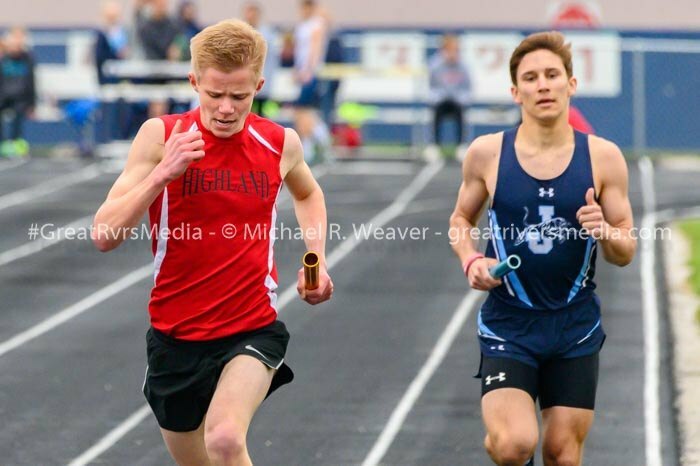 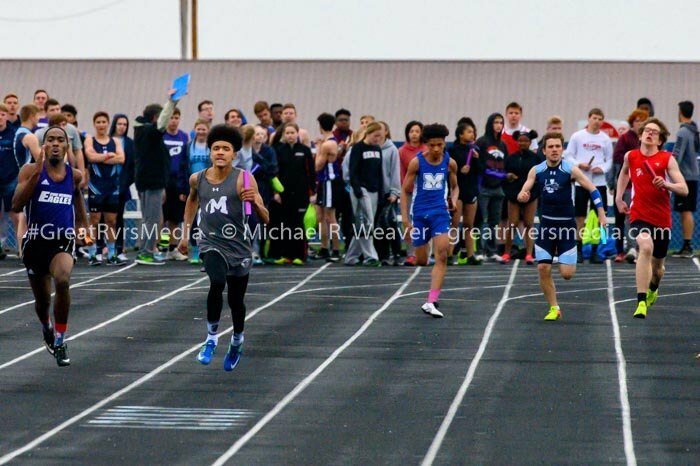 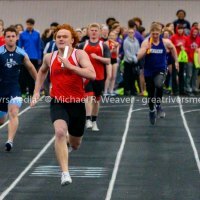 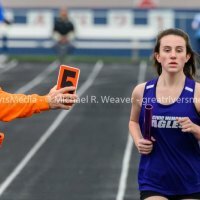 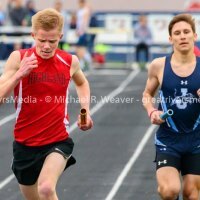 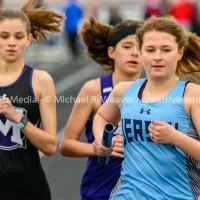 y Relays track meet held on Friday at the Snyder Sports Complex. 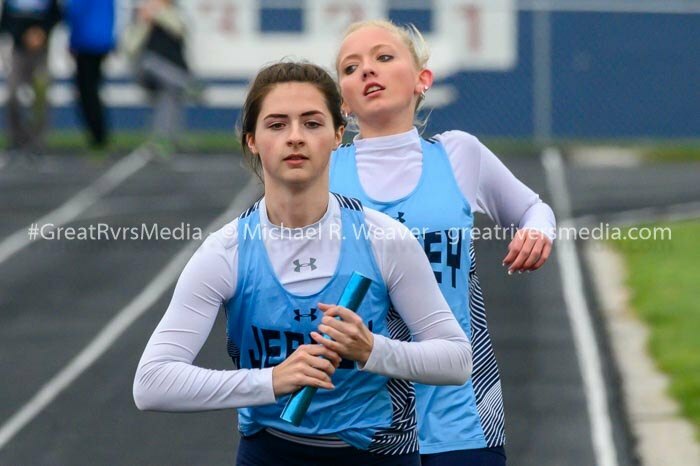 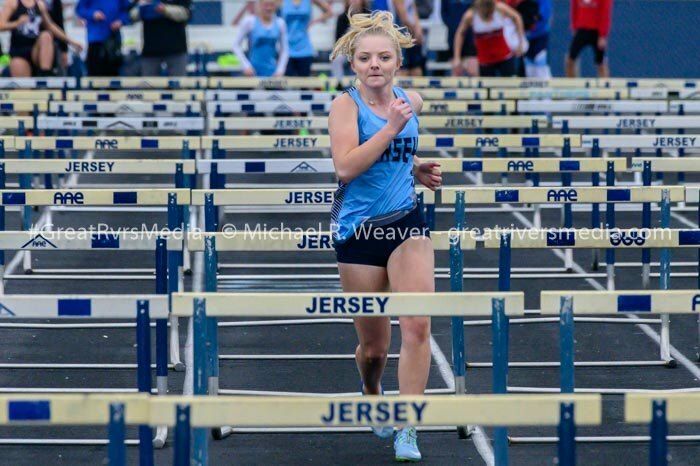 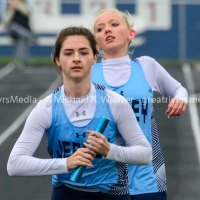 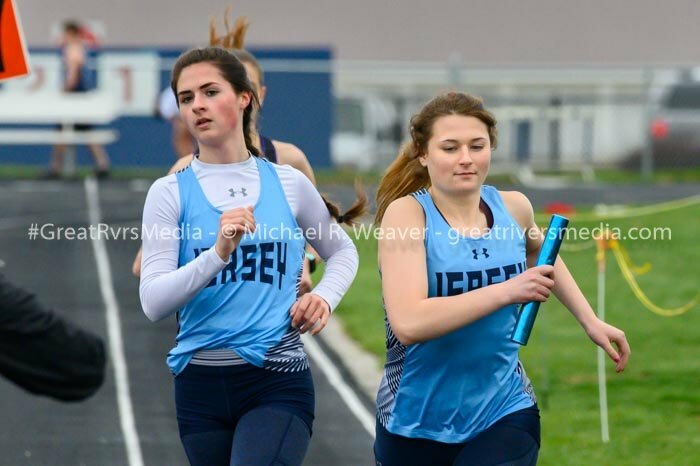 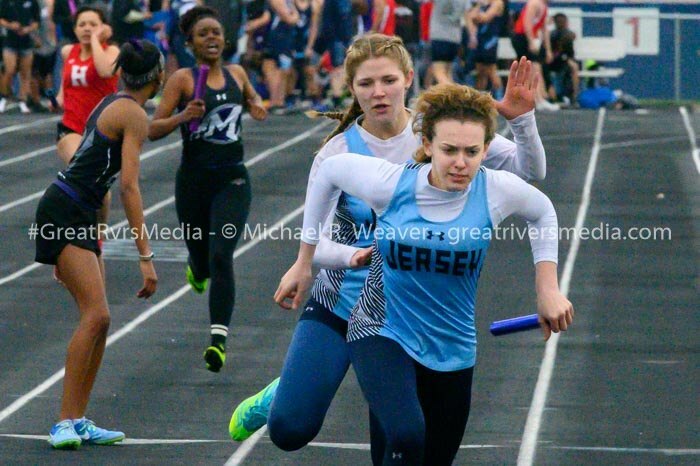 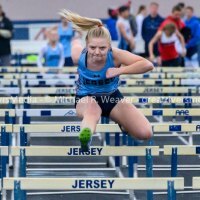 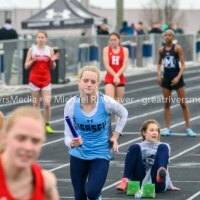 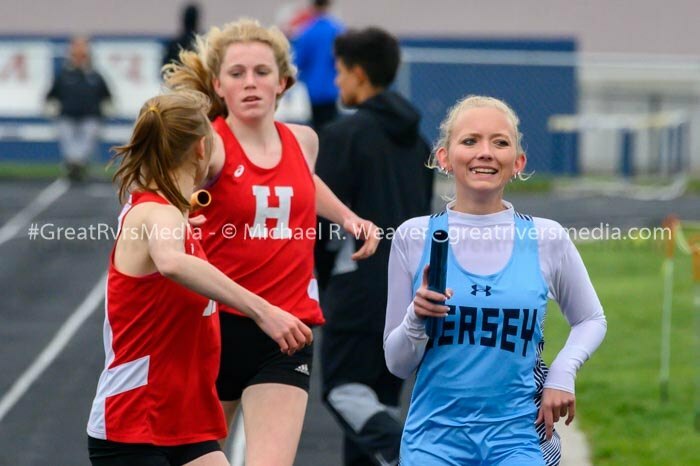 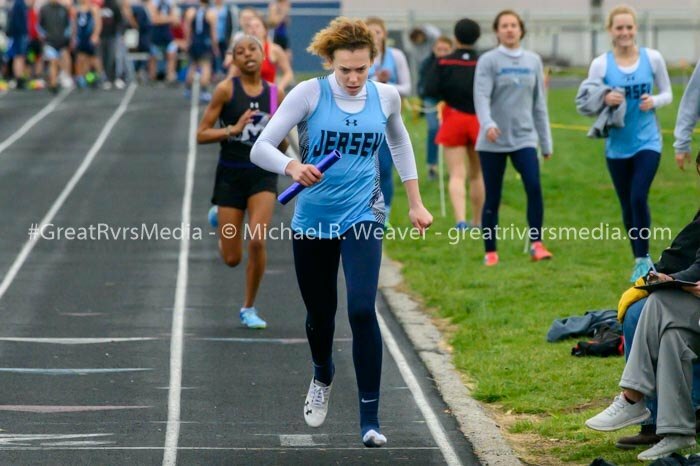 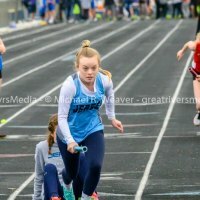 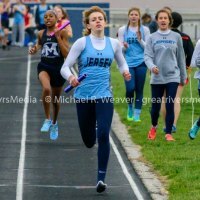 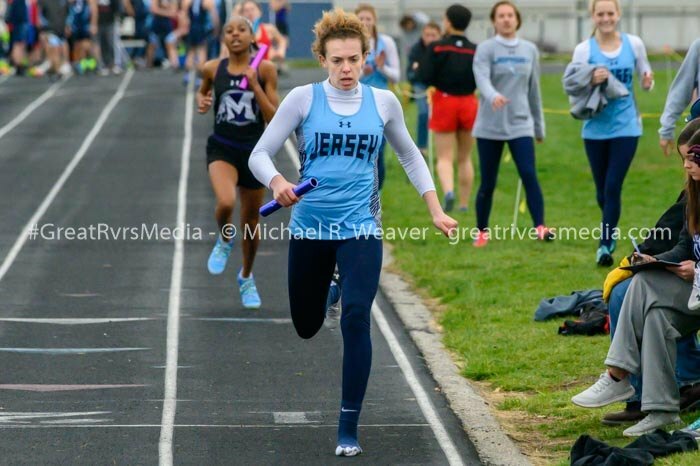 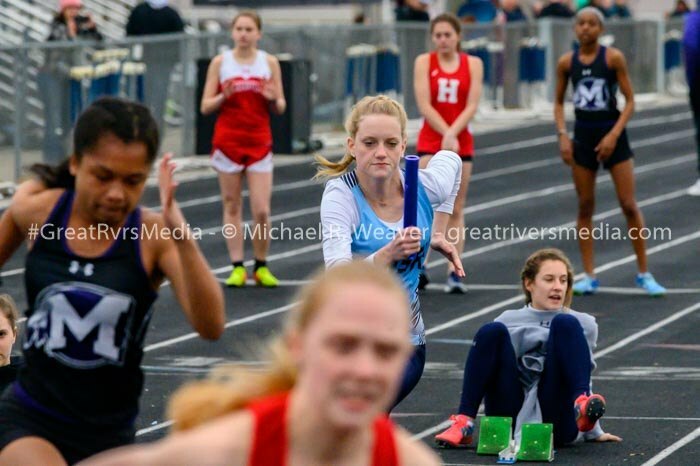 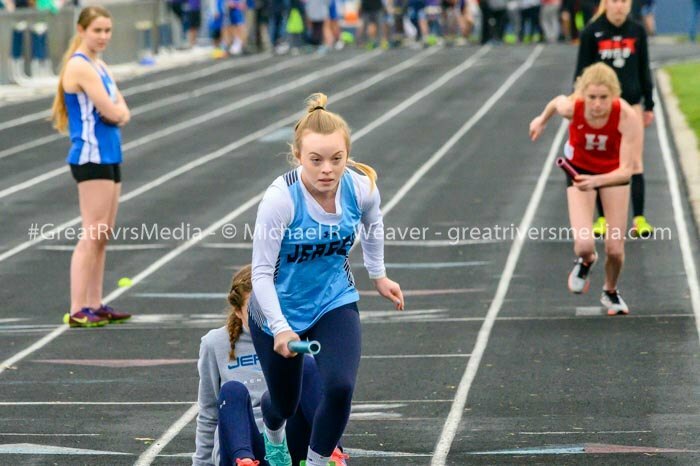 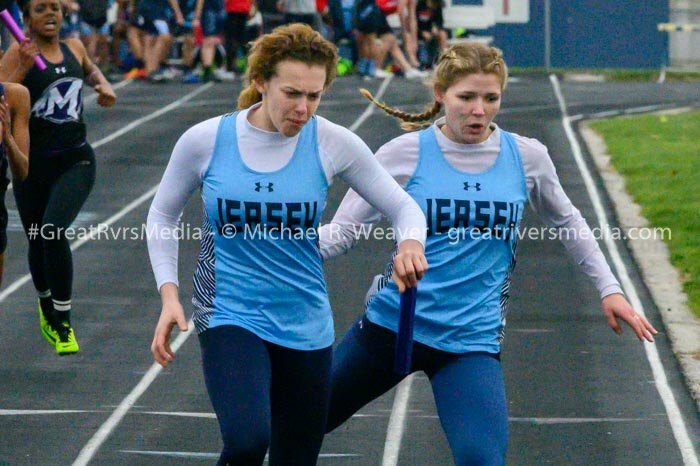 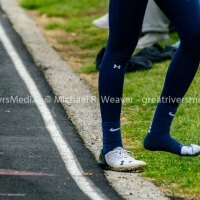 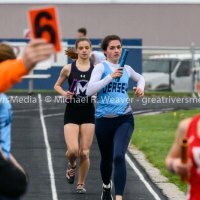 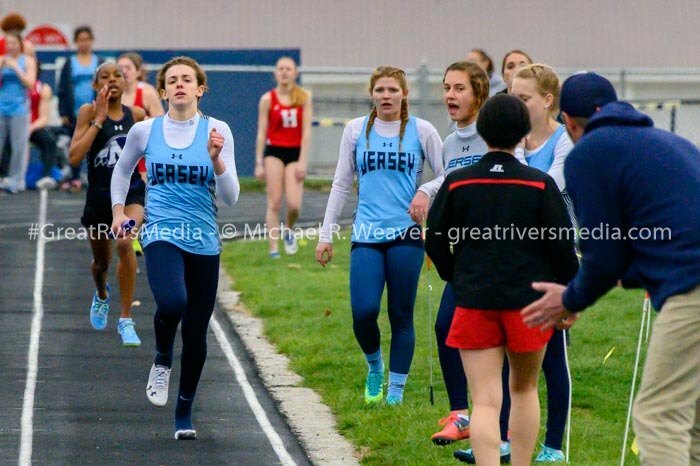 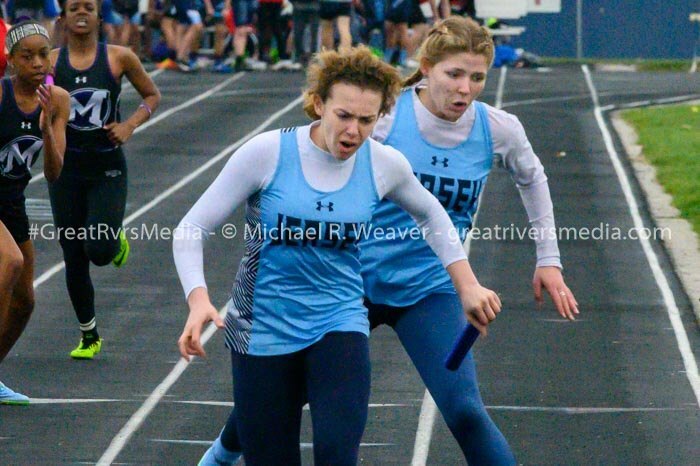 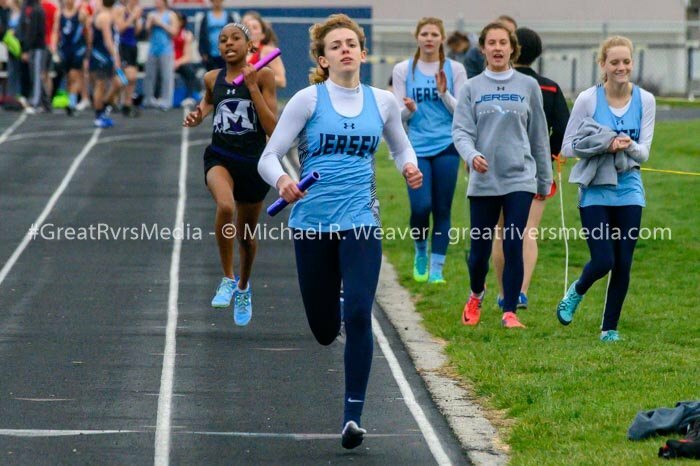 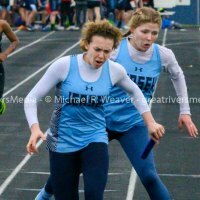 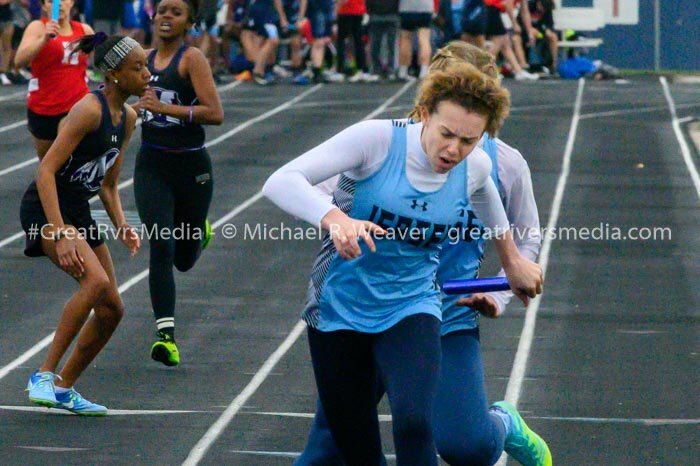 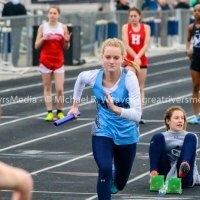 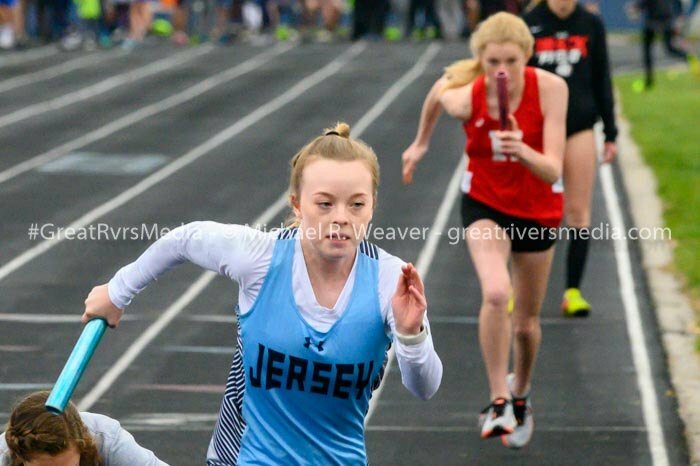 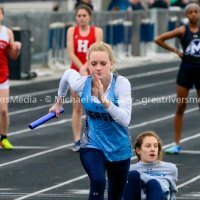 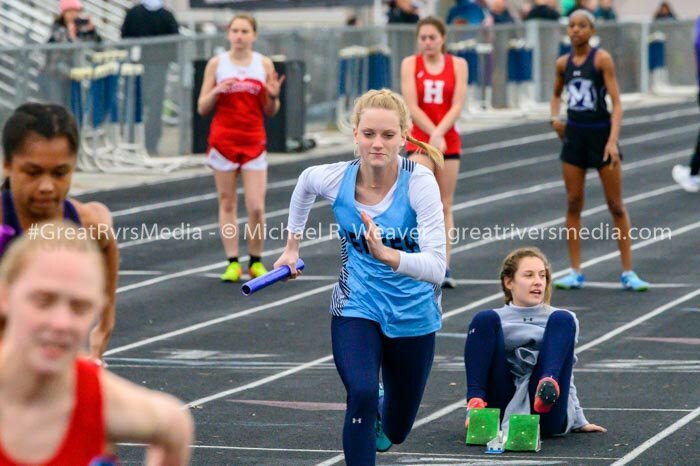 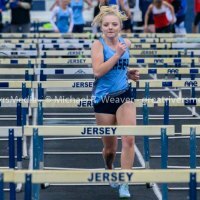 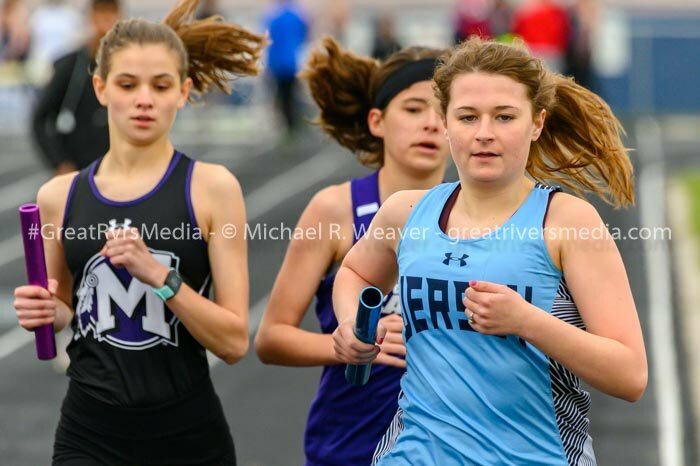 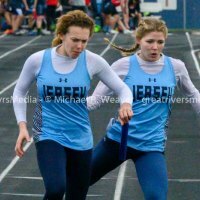 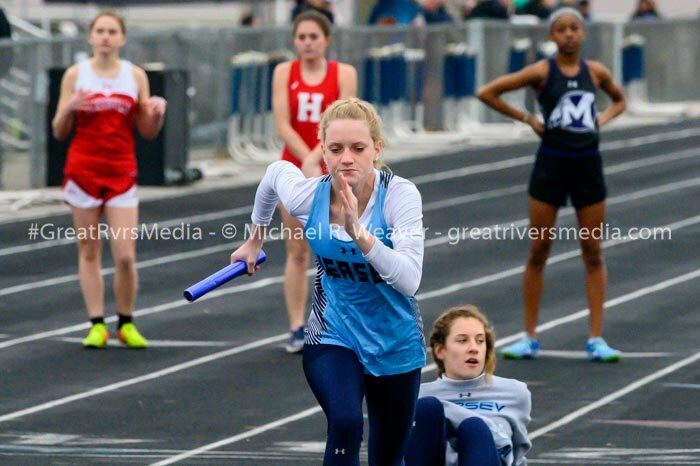 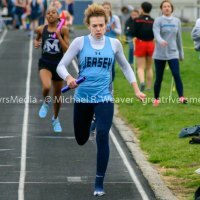 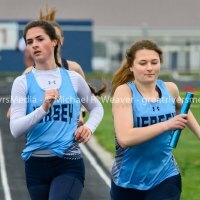 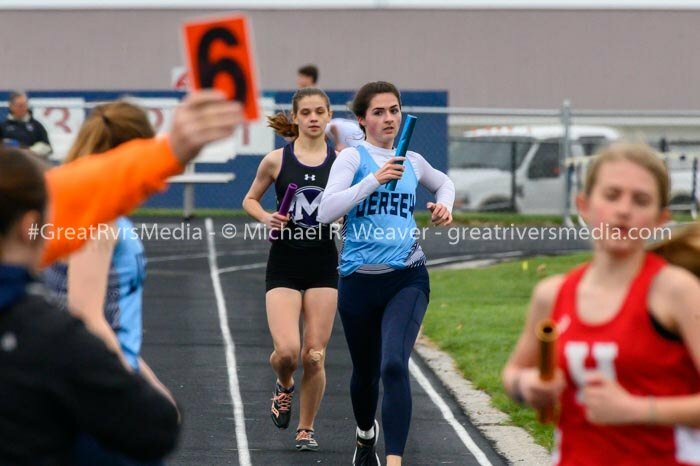 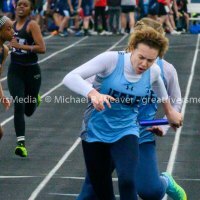 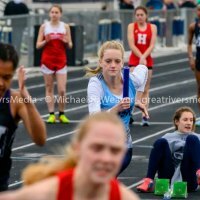 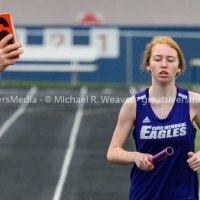 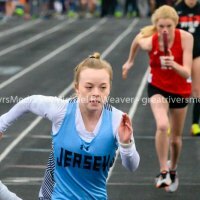 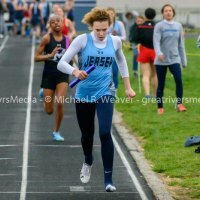 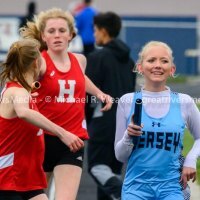 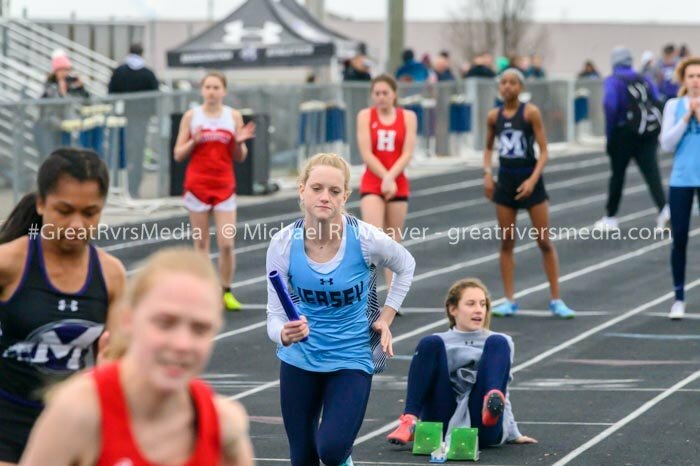 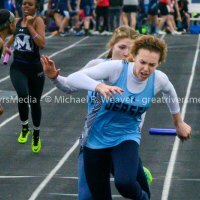 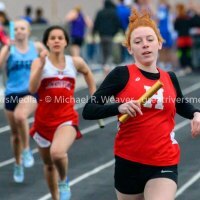 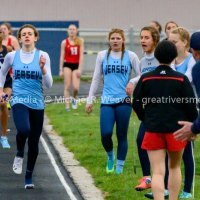 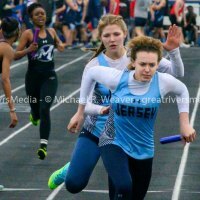 One relay had Jerseyville's Chloe White losing her left shoe at the baton handoff but continuing on completely around the track to win. 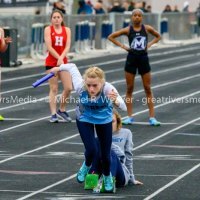 Fellow Mississippi Valley Conference school Highland finished fourth with 68 points and Marquette Catholic was fifth with 26. 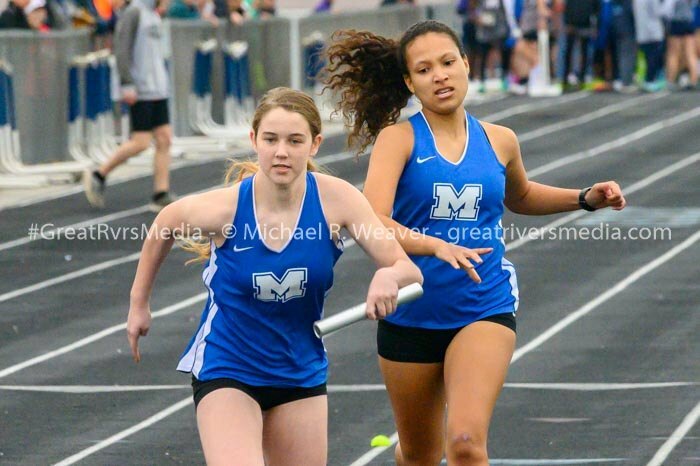 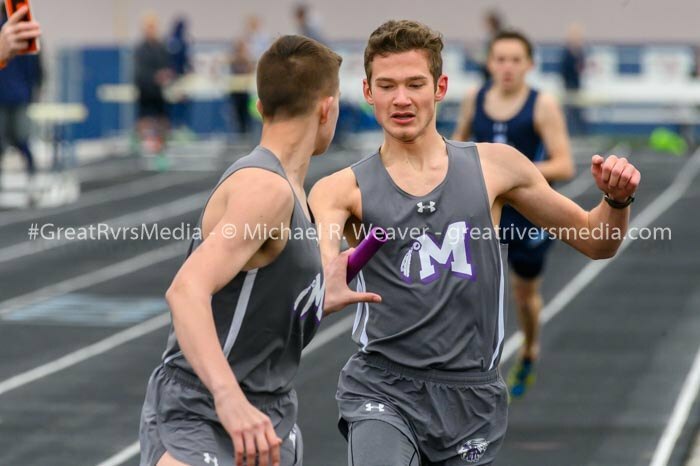 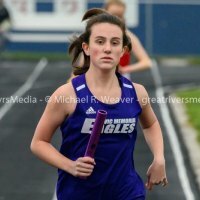 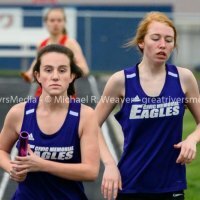 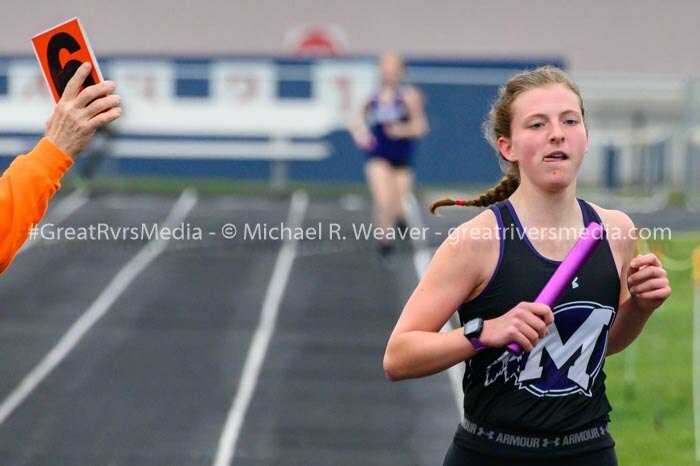 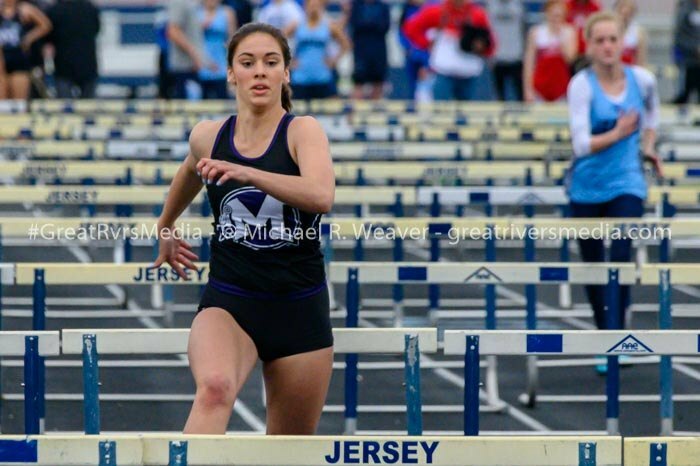 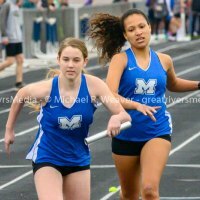 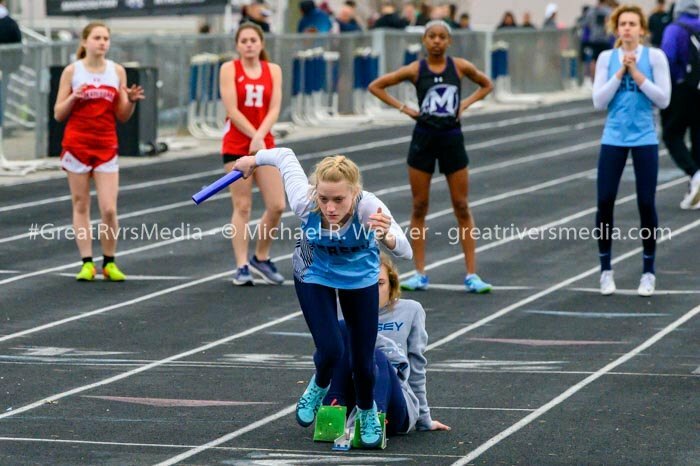 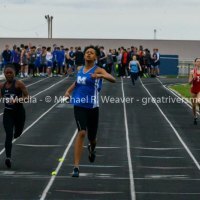 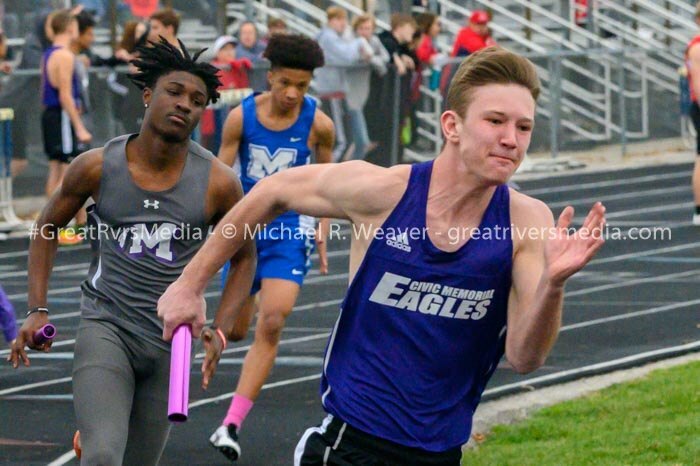 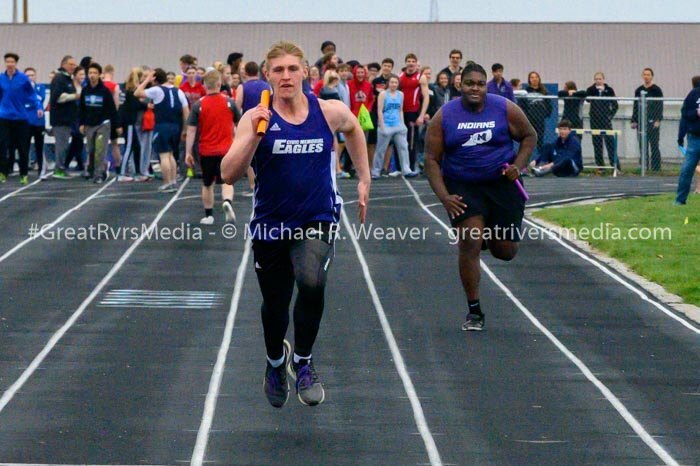 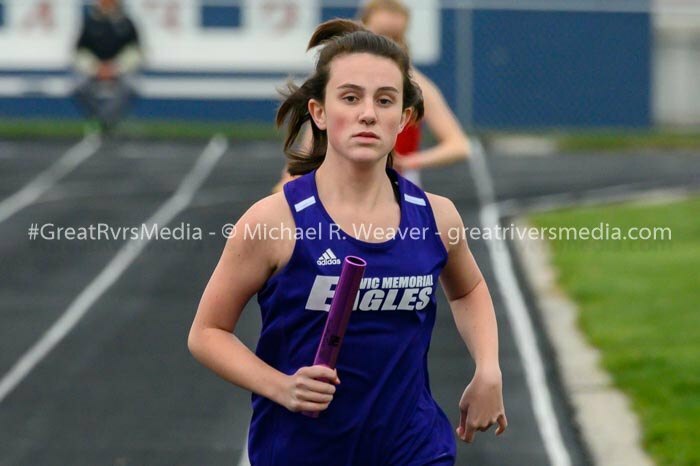 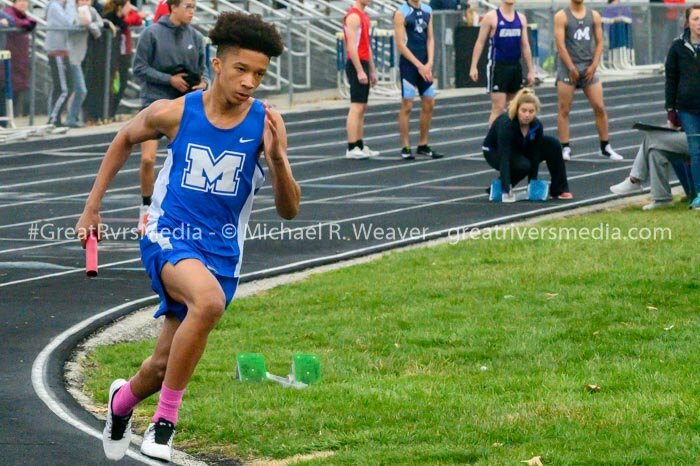 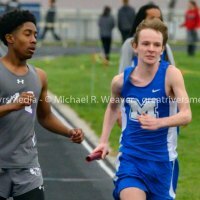 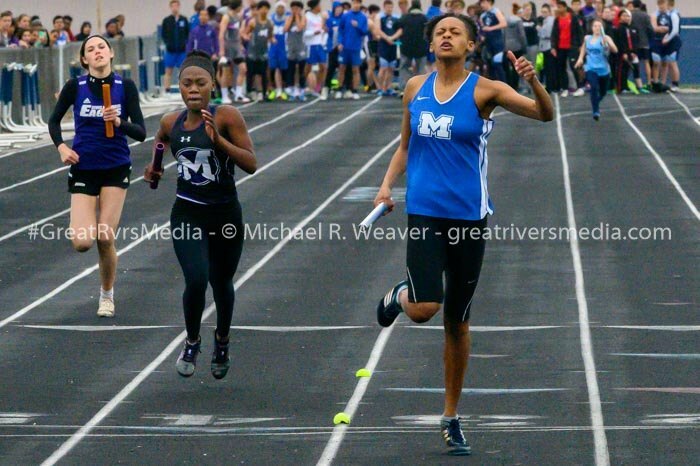 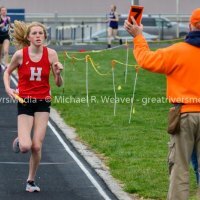 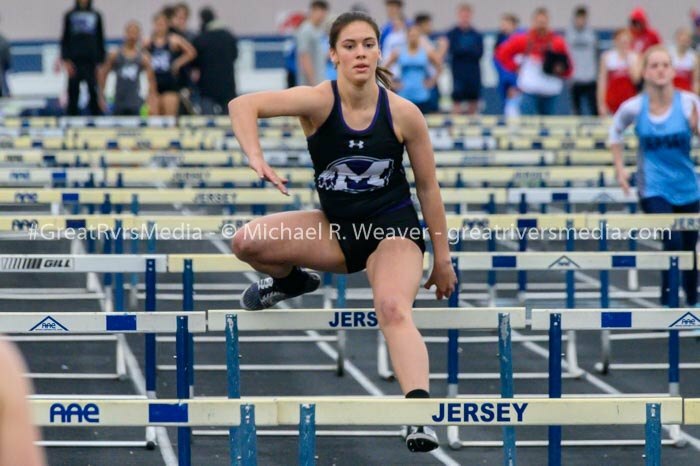 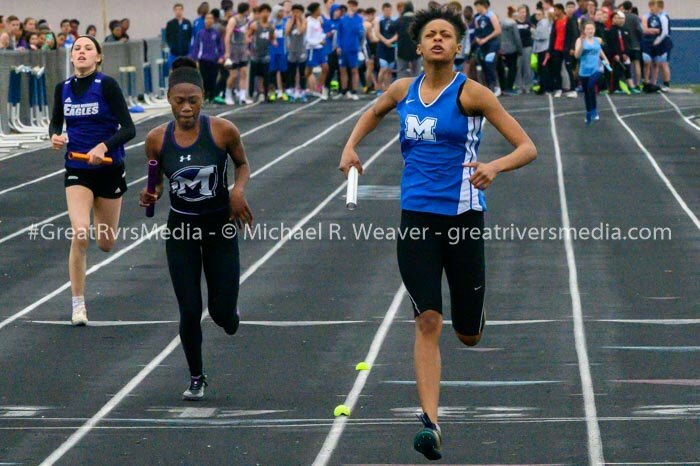 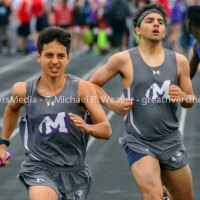 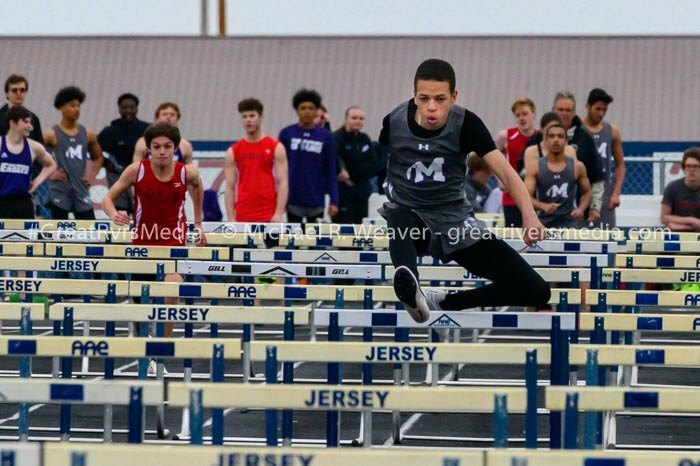 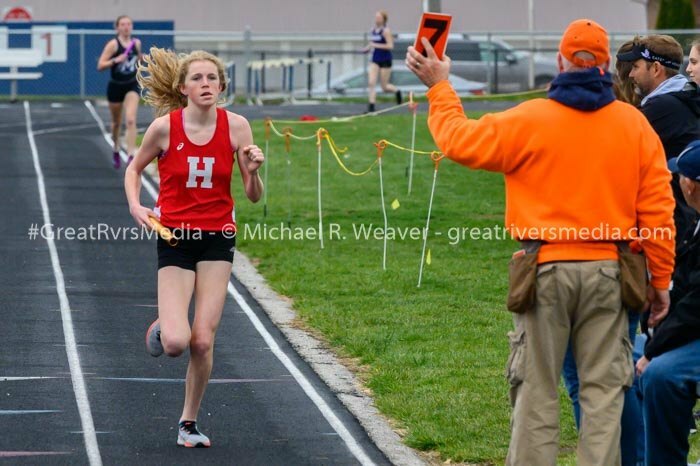 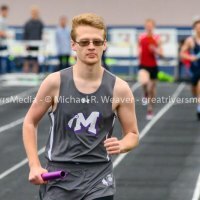 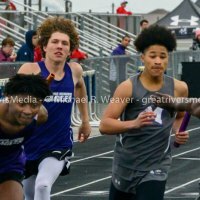 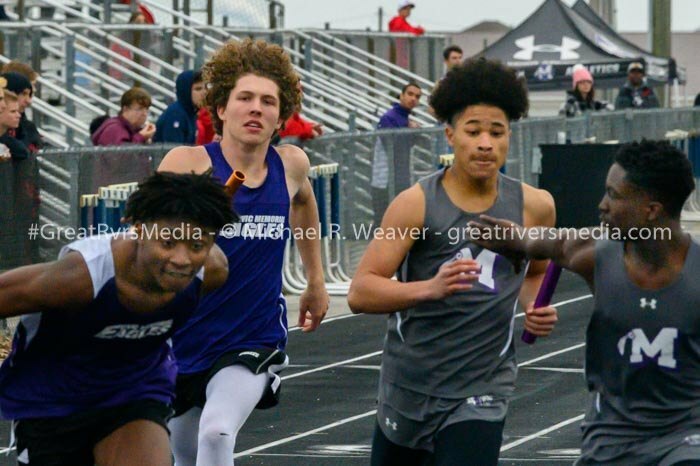 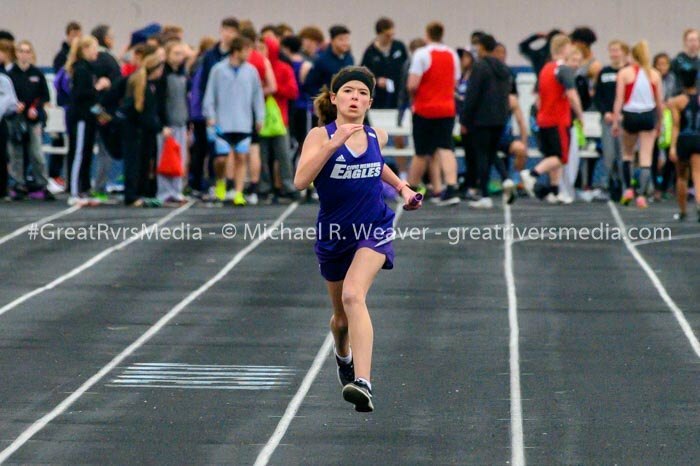 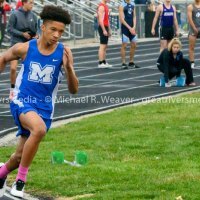 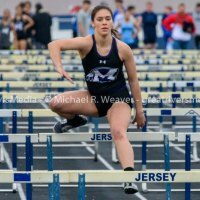 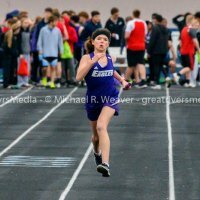 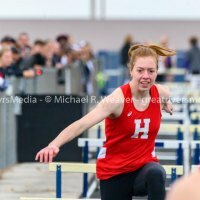 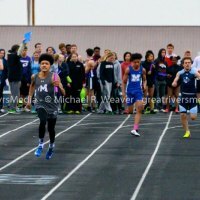 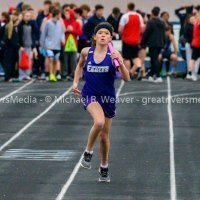 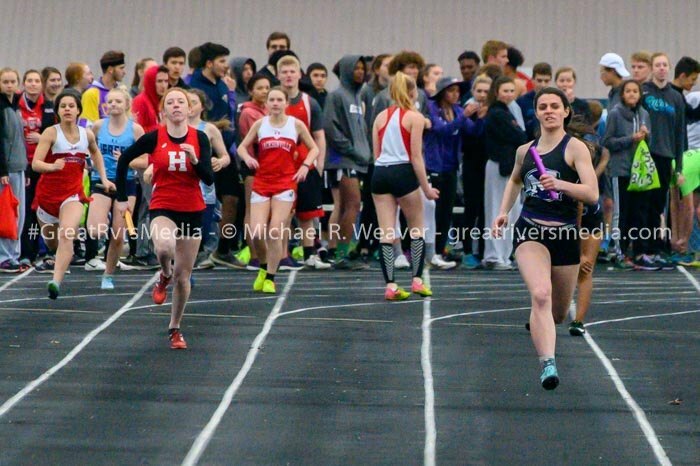 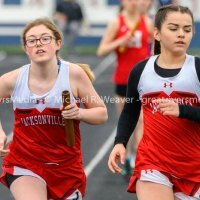 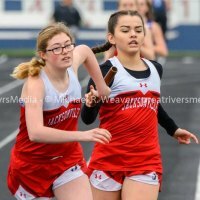 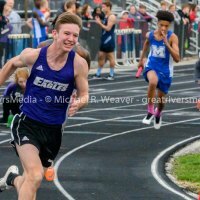 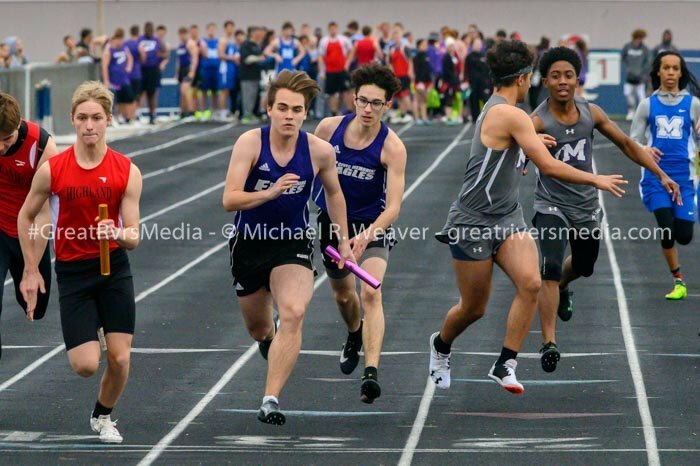 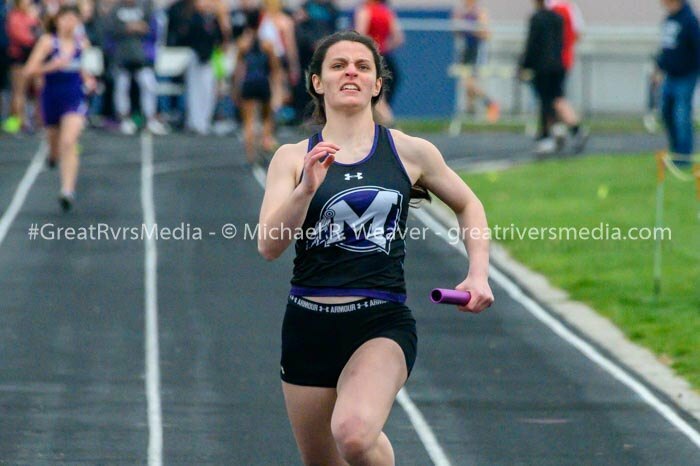 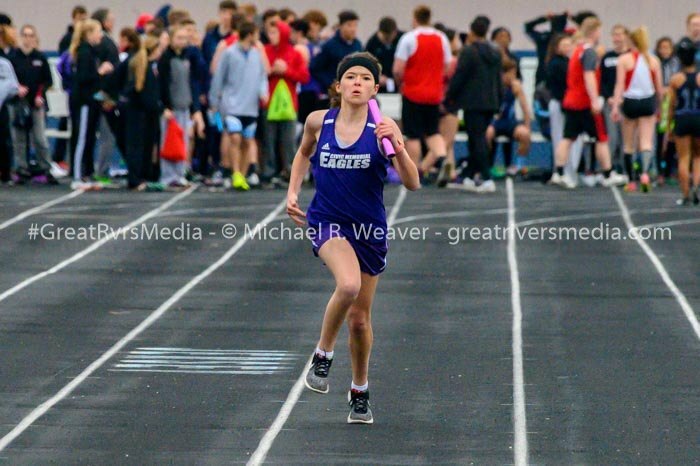 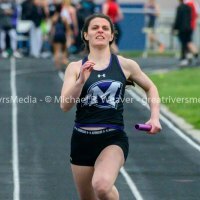 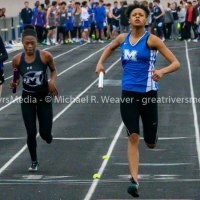 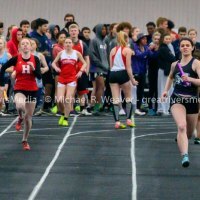 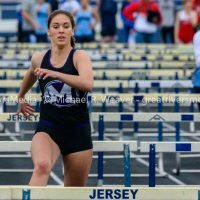 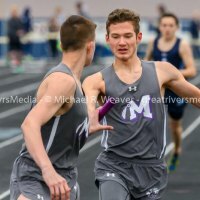 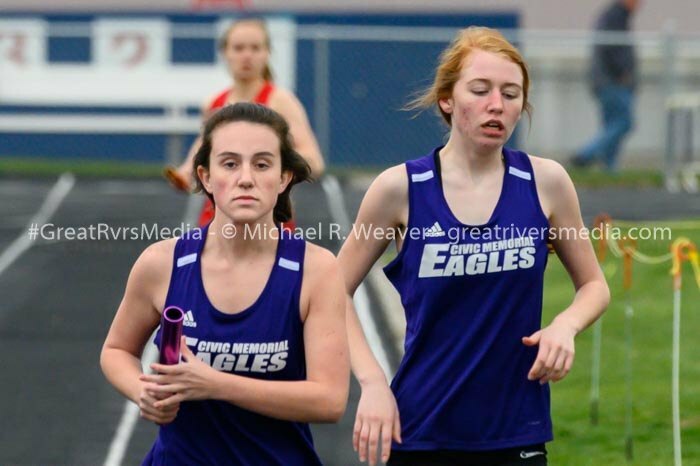 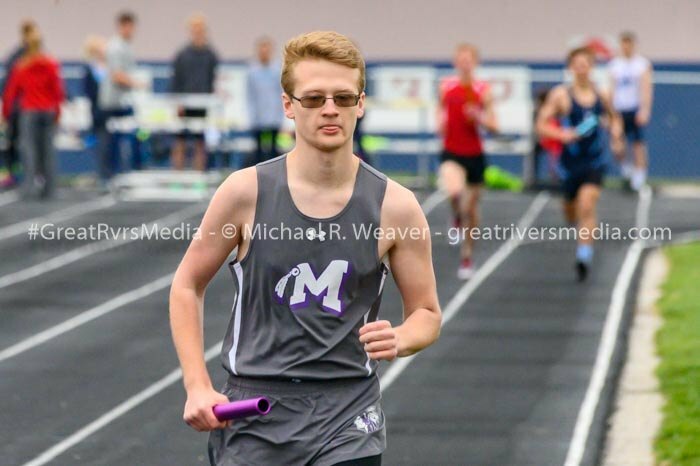 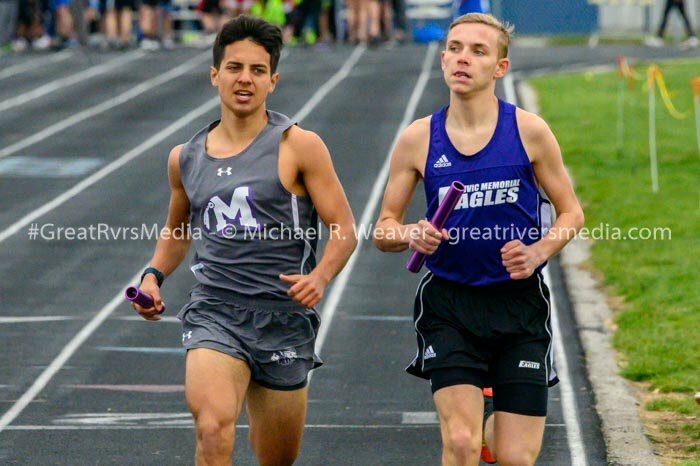 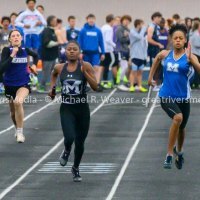 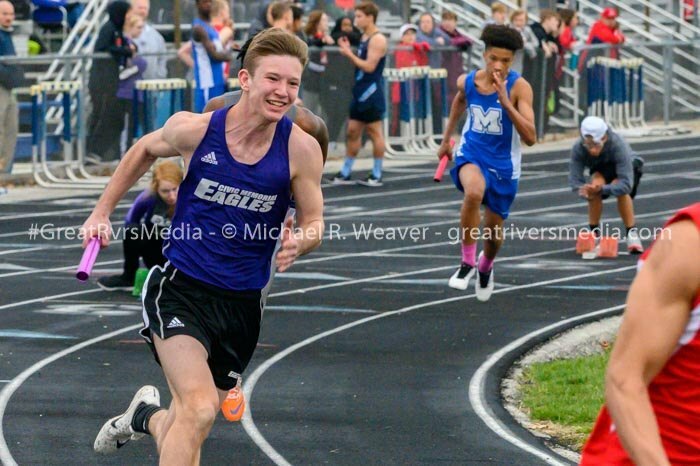 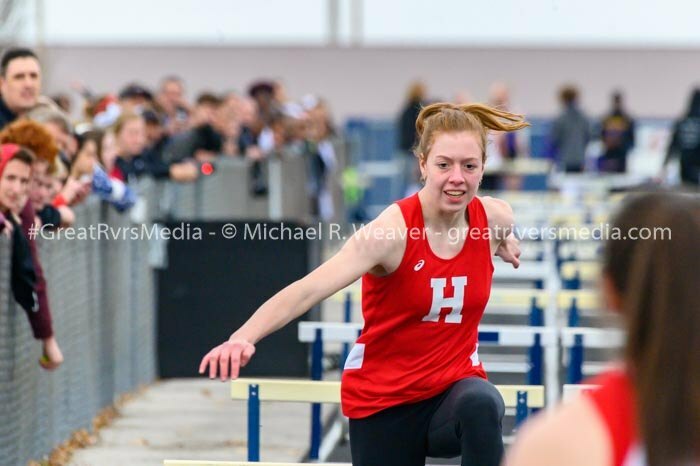 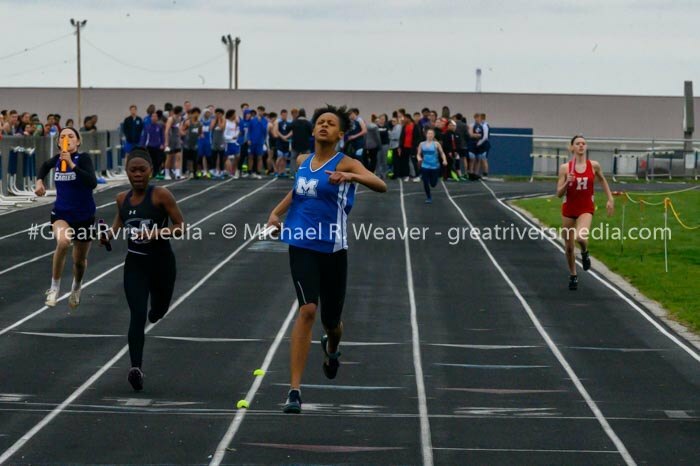 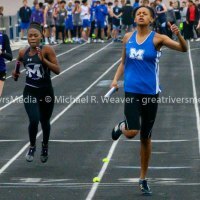 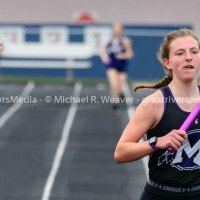 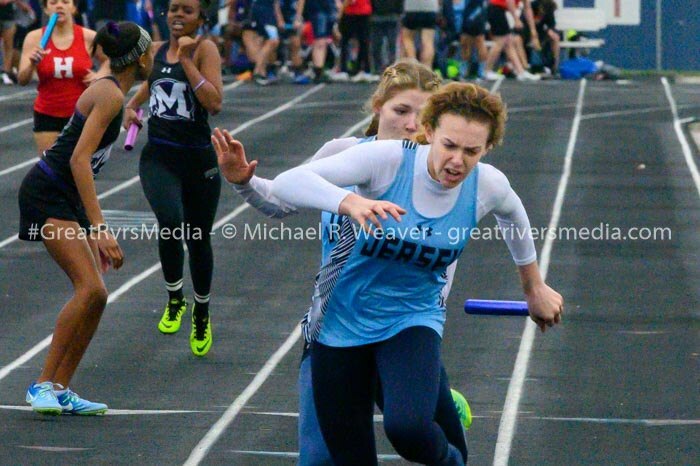 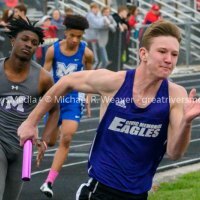 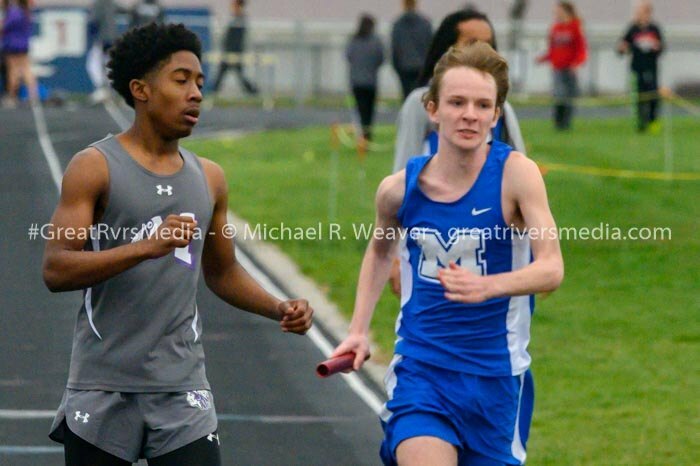 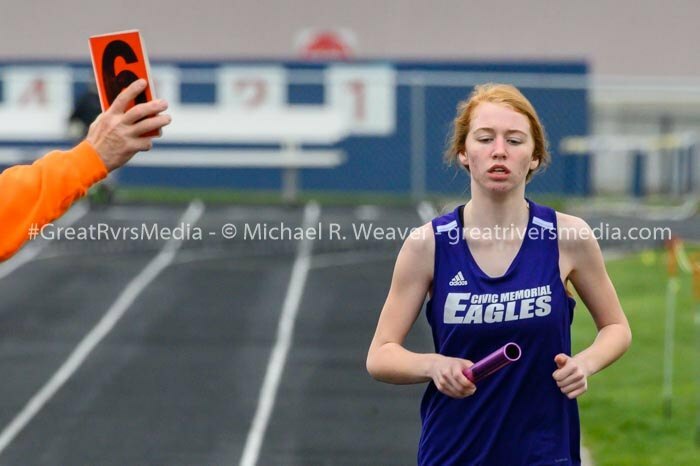 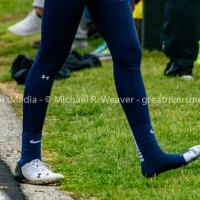 In the girls’ meet, Mascoutah took home first place with 128 points, Highland was second with 92 points, the Panthers took third at 64 points, Jacksonville finished fourth with 58, CM was fifth with 54 and Marquette finished sixth with 38 points. 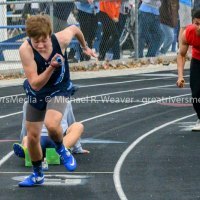 2:18.9, and also won the discus throw with a combined distance of 308’ 7”. 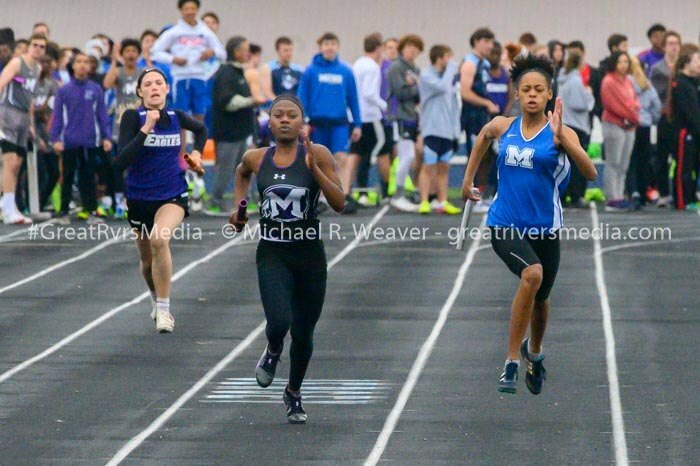 In the girls meet, Mascoutah dominated the meet, winning eight of the events in taking the meet. 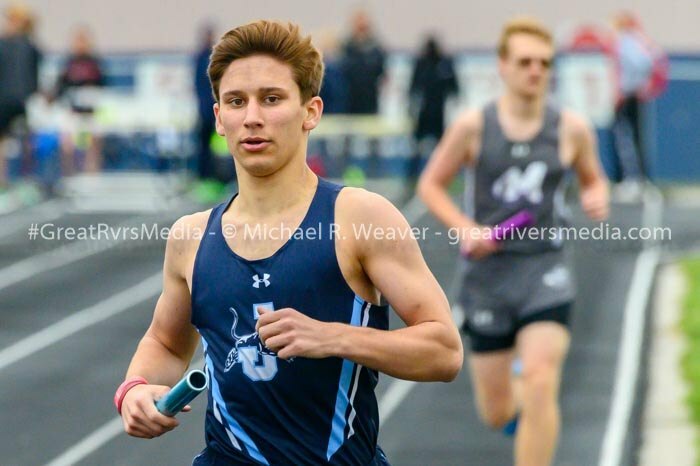 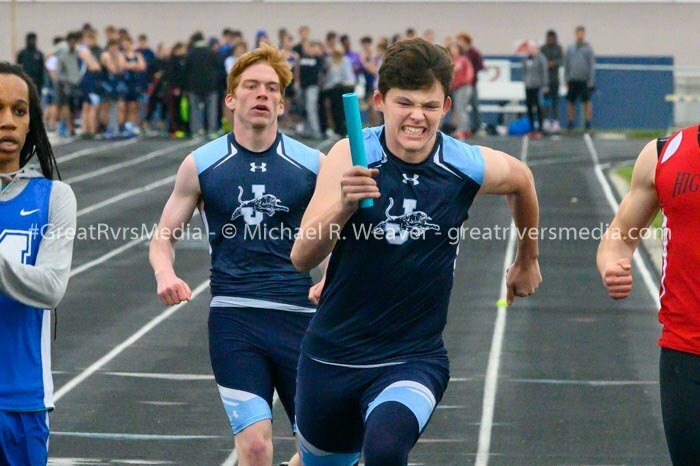 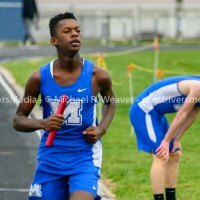 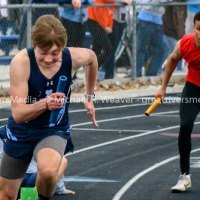 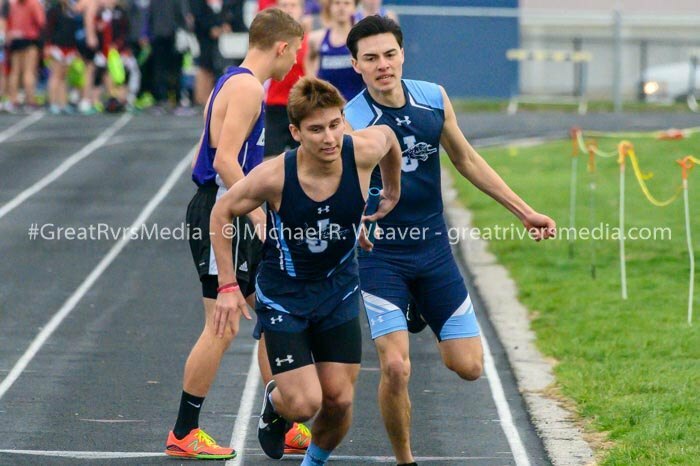 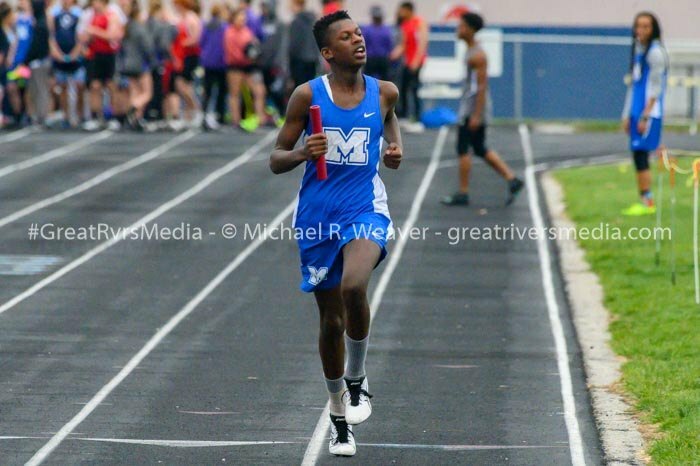 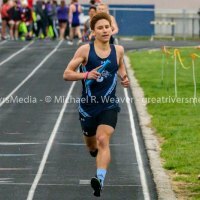 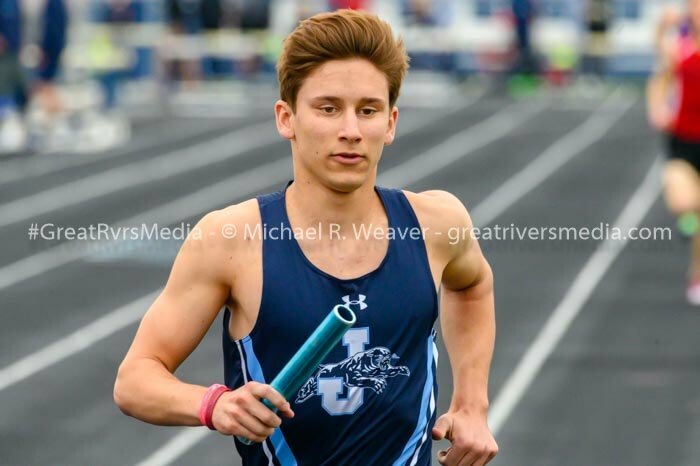 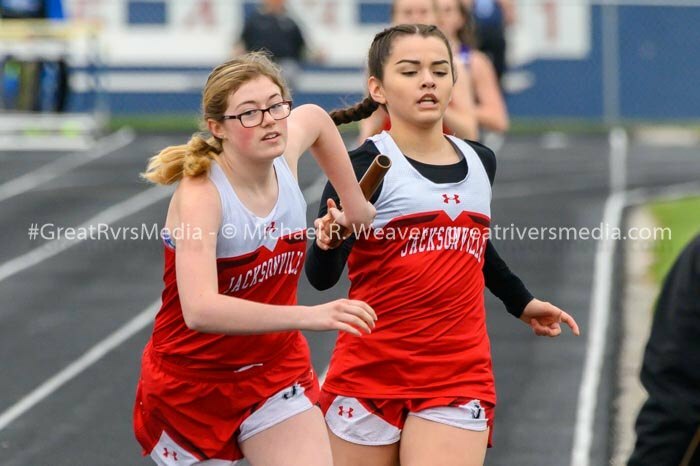 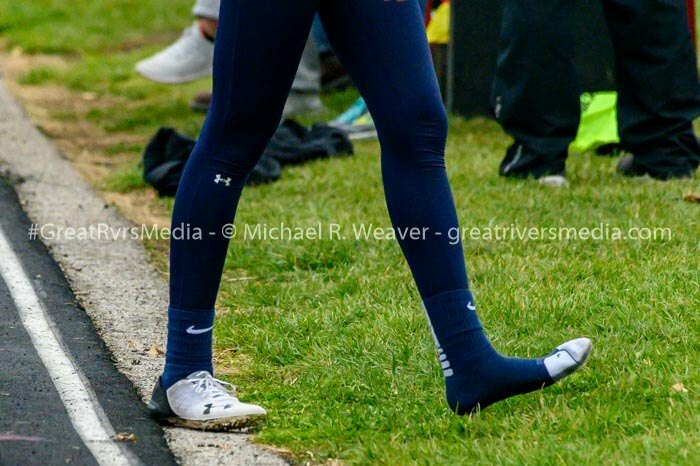 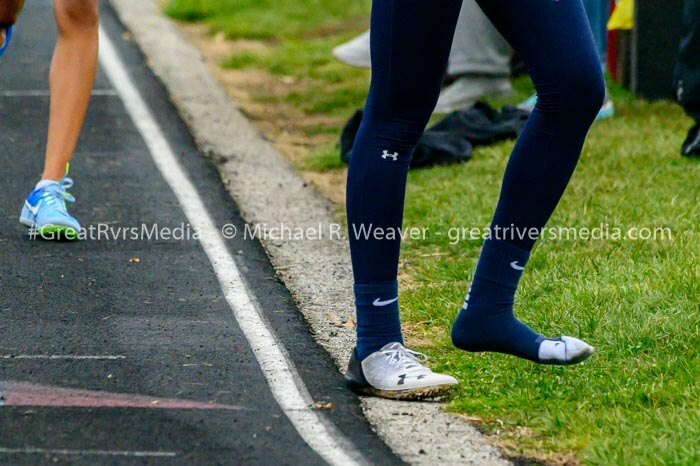 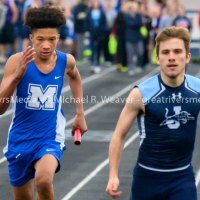 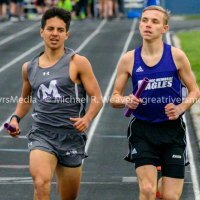 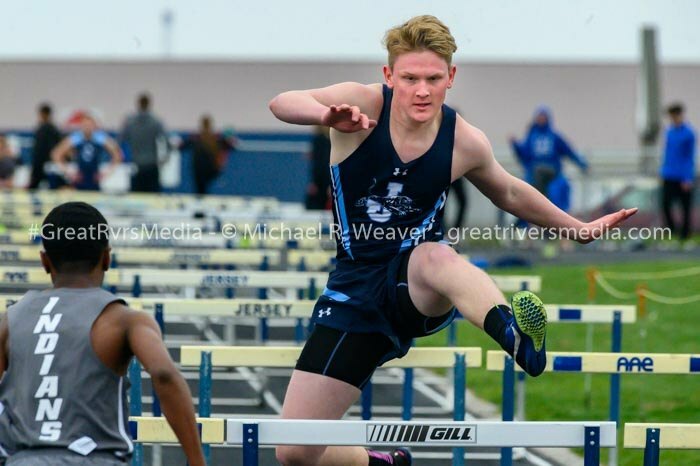 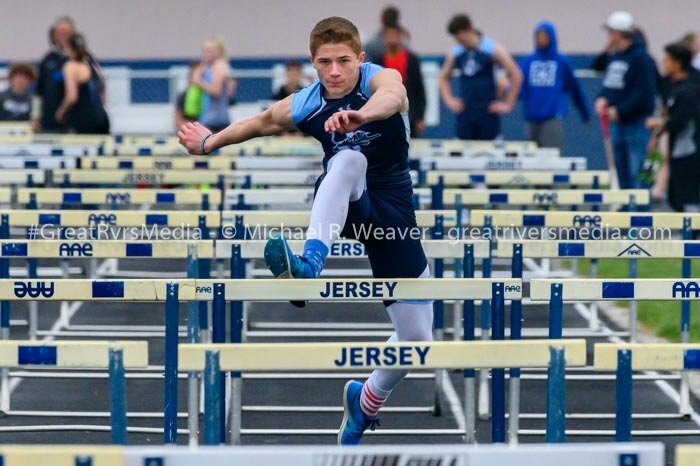 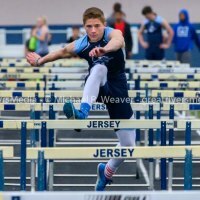 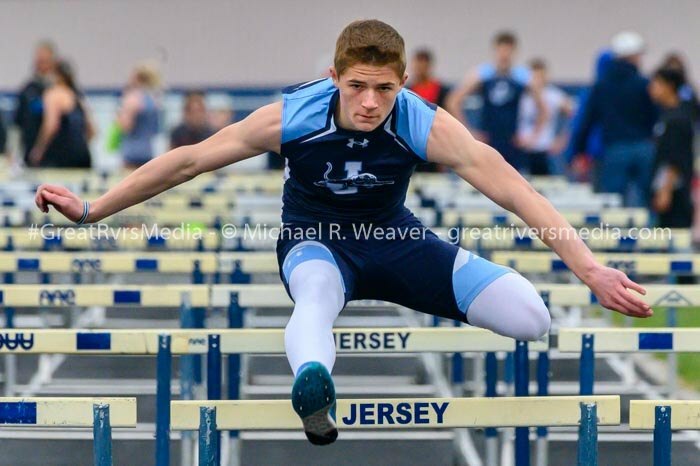 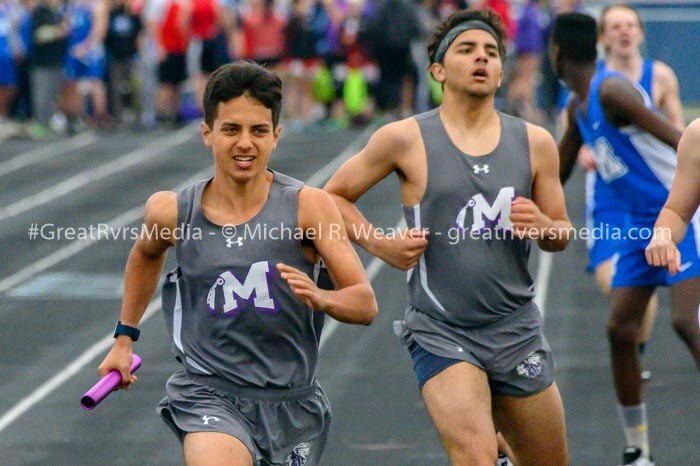 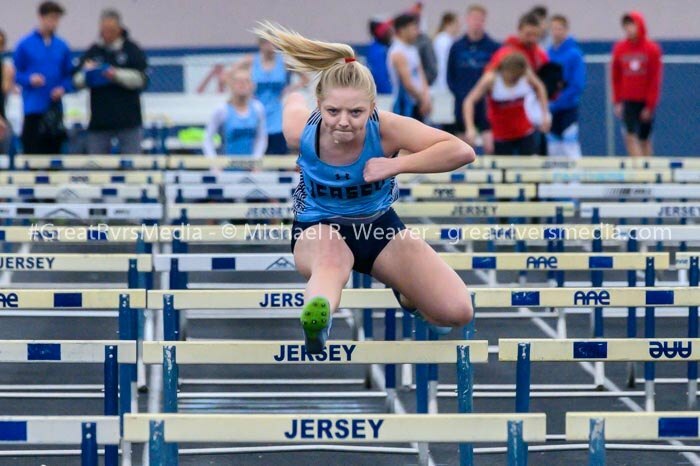 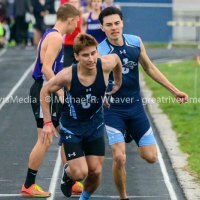 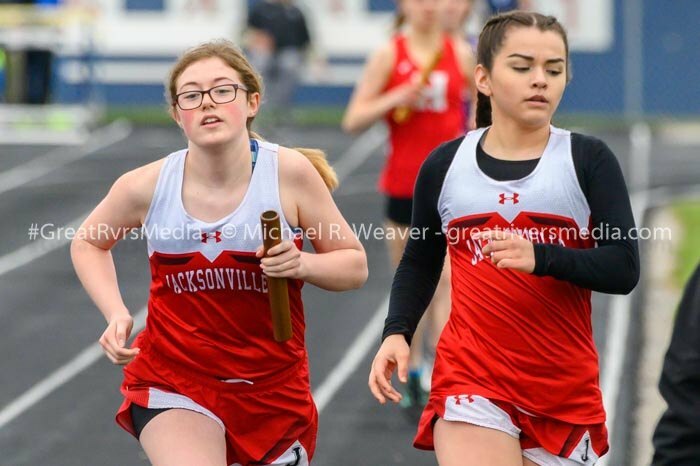 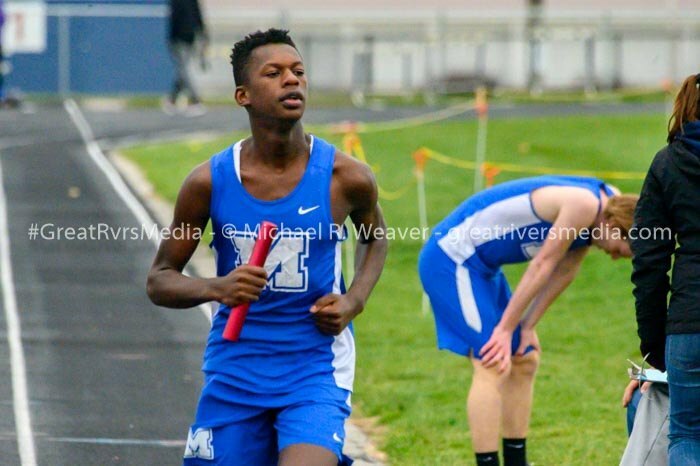 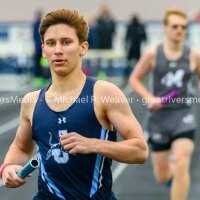 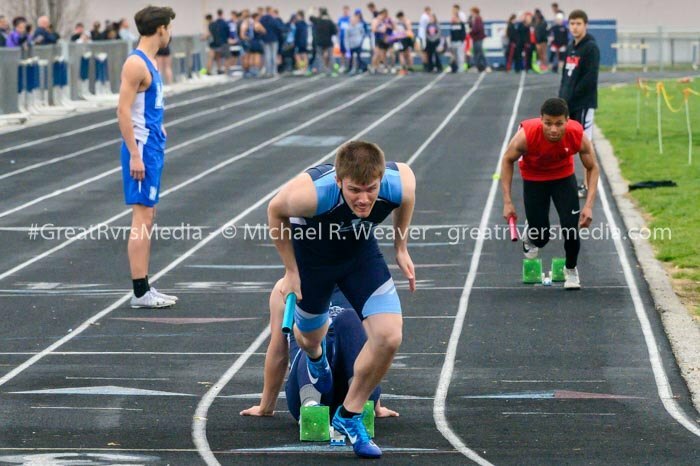 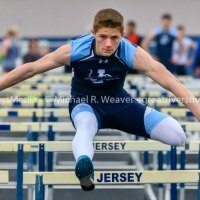 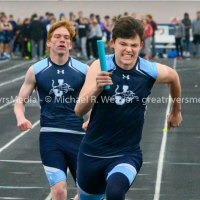 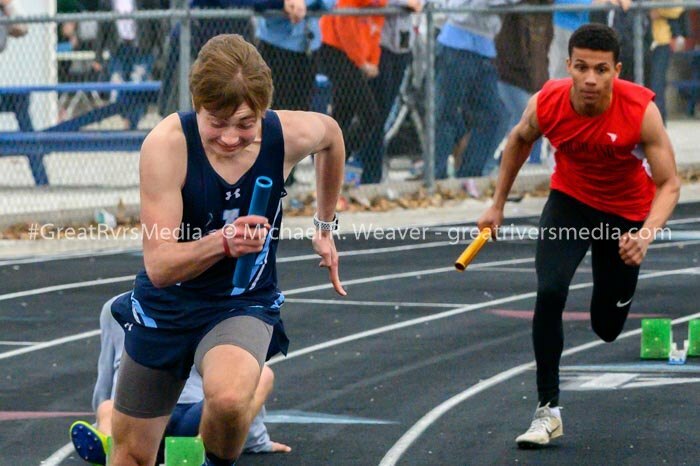 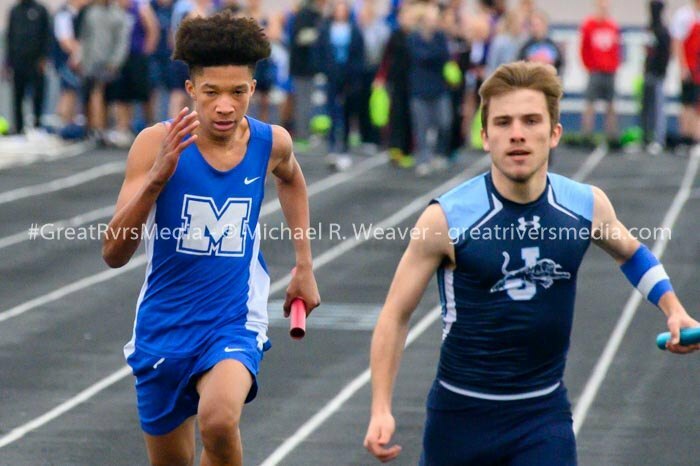 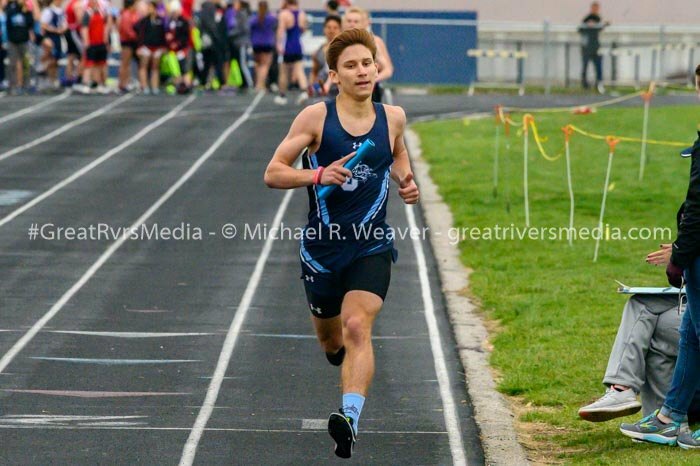 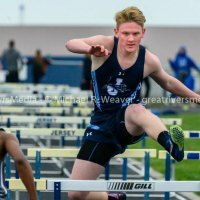 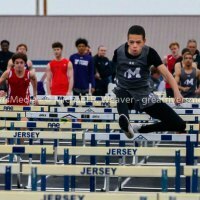 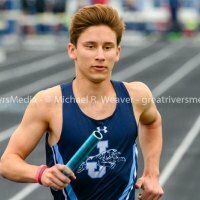 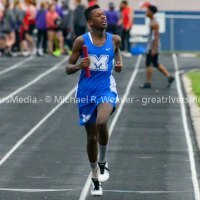 The Indians were the winners in the 100-meter hurdle shuttle at 1:14.5, the long jump at 41’ 8.5”, The high jump at 13’ 8”, the 4x800-meter relay with a time of 10:34.6, the 4x100-meter relay at 52.4 seconds, the 3x300-meter hurdles relay at 2:49.2, and the 4x400-meter relay with a time of 4:16.8. 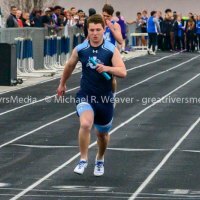 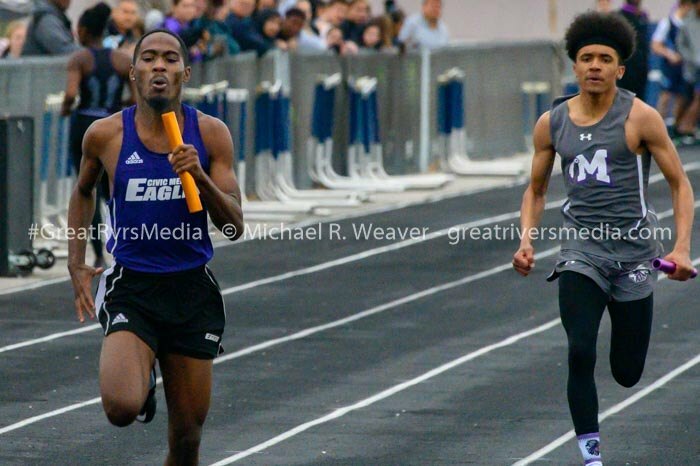 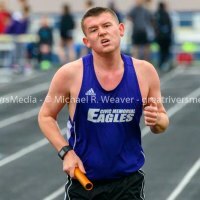 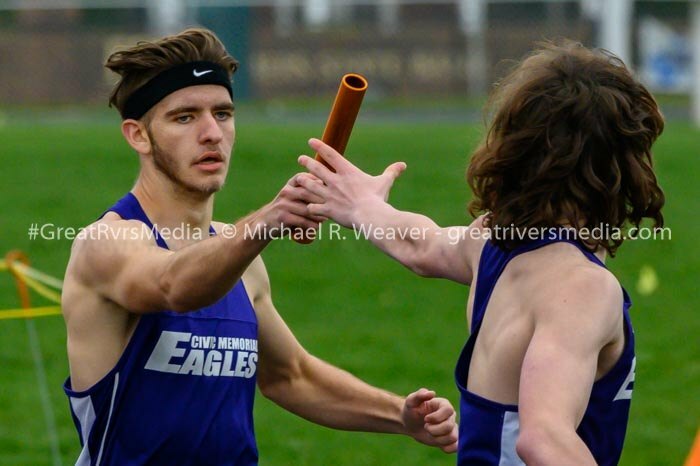 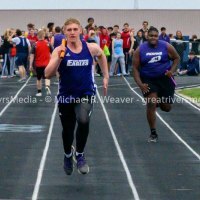 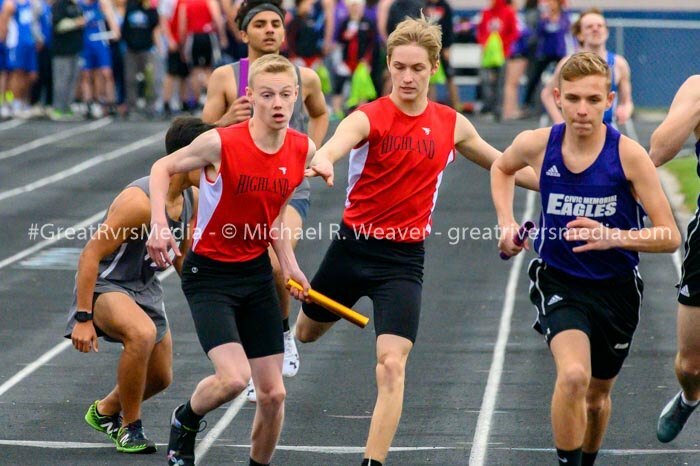 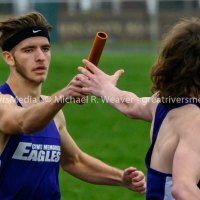 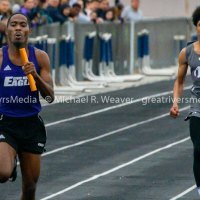 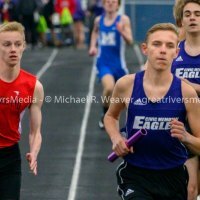 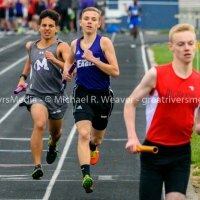 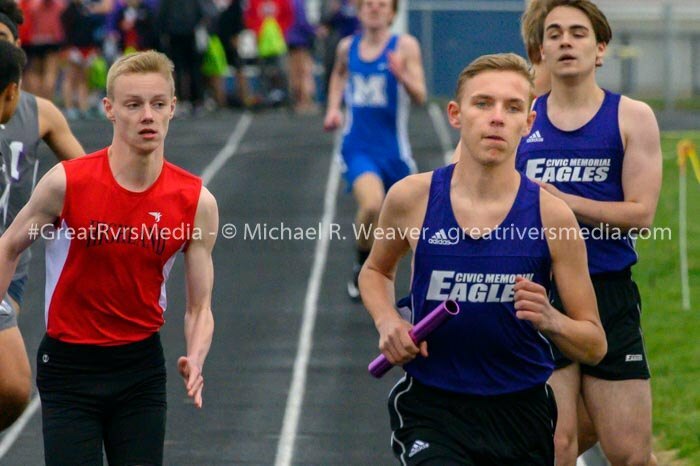 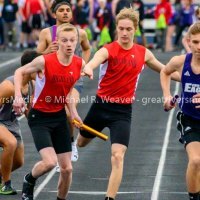 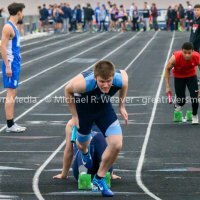 The Panthers won the 800-medley relay with a time of 2:02.3, while the Eagles won the triple jump with a combined distance of 92’ 5.5”. 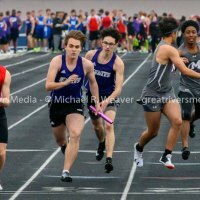 Marquette won the 4x200 relay, coming in at 1:53.6.